LA is known for cars and freeways, but we also have some mass transportation and Little Tokyo is getting its own light rail stop. 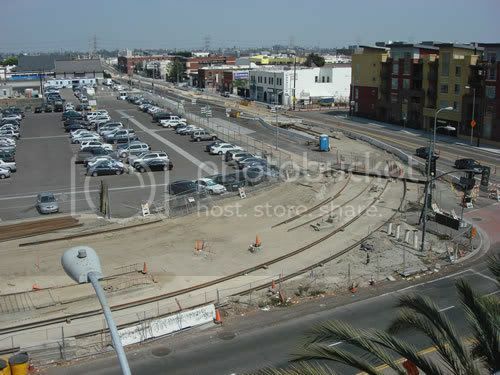 A station is under construction on the northeast corner of Alameda and First Street just across the street from the Japanese American National Museum. 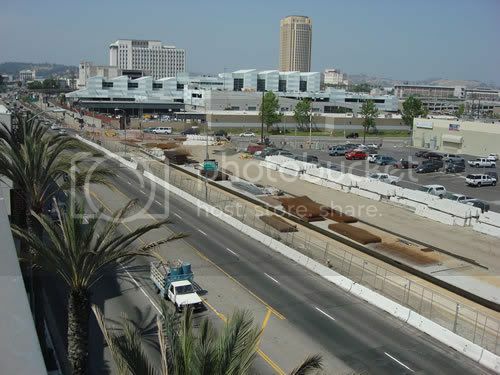 It is part of the Metro Gold line that currently runs from Pasadena to Union Station in downtown. The Eastside extension is a six mile route that runs from downtown into East Los Angeles. The station is scheduled for completion in late 2009. Hopefully with the addition of the Little Tokyo station, this will increase the community's presence as a hub for urban living. Construction in Little Tokyo started about a year ago. But as you can see, they haven't been working on it lately. I believe they are working on the stations in East Los Angeles.